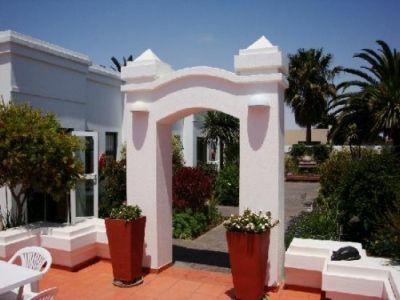 Personalised service and comfortable accommodation is offered by Langholm Hotel, Walvis Bay, your overnight choice at the Atlantic Coast of Namibia. 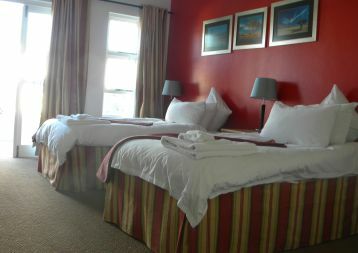 Langholm Hotel was opened in 1996 and located in Walvis Bay. The comfortable lounge and private bar are open every evening until 22h00, where guests may have a drink or simply relax after a busy day. 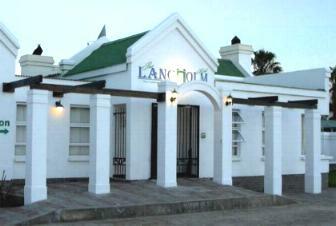 Langholm Hotel is a stone's throw away from Walvis Bay Lagoon, yacht club, golf course and swimming pool. 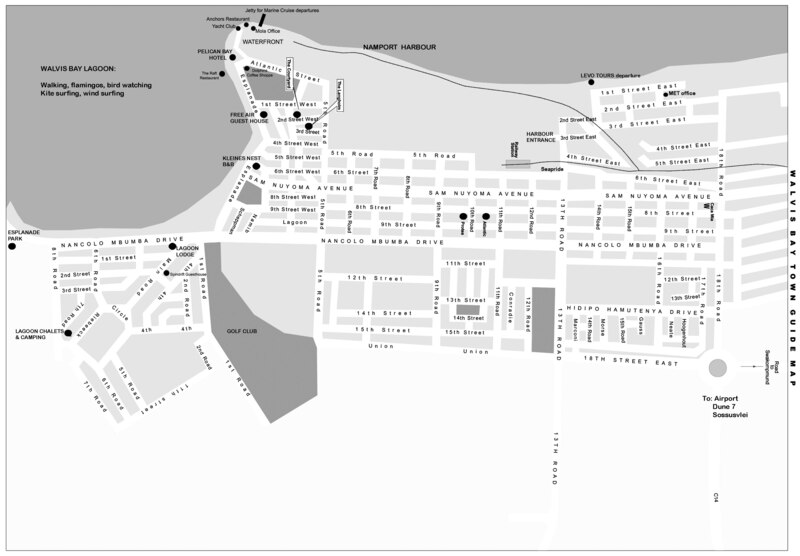 Tours into the desert, the lagoon and surrounding areas can be arranged to make your stay more enjoyable. 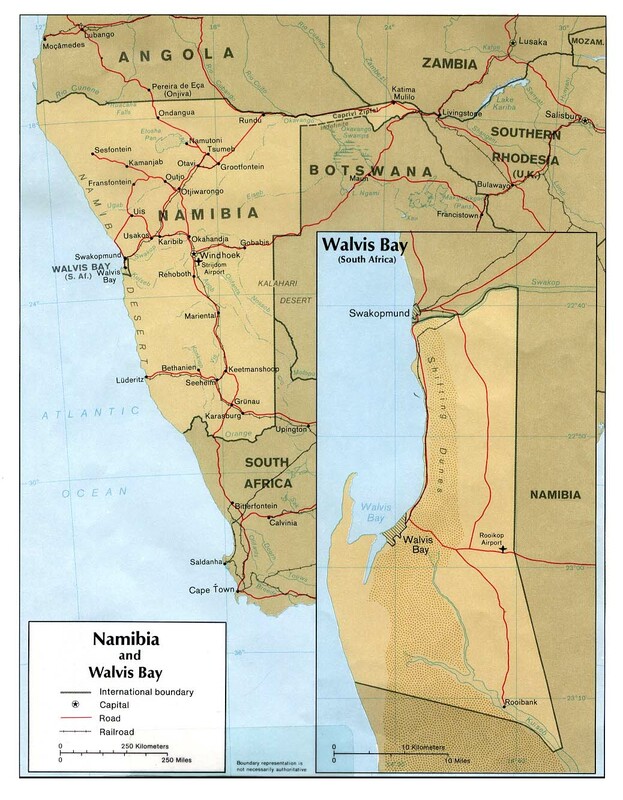 There are many restaurants, night clubs and pubs within a short distance, and with the bustling town of Swakopmund only 30 km away, you will never be short of something to do. 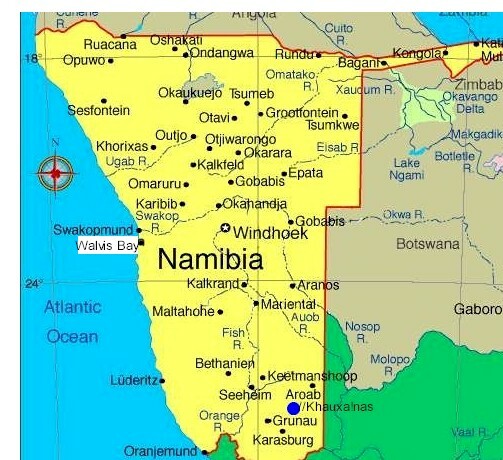 Transport to and from the airport and Swakopmund can be arranged on request, and bicycles are available for the use of the more energetic guests. 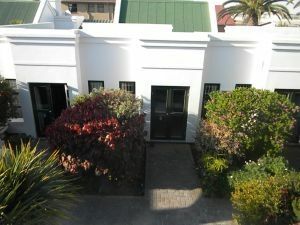 Langholm's twelve double bedrooms each have a bathroom en-suite, telephones with direct dialling, television with NBC, MNET, SABC, Supersport and DSTV channels, and comfortable and tasteful furnishings. 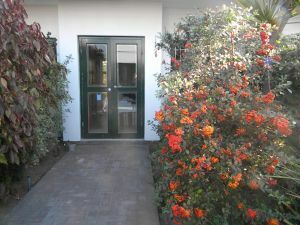 In addition, the self-catering suite can accommodate up to 5 people, or be converted into an en suite office if required. A lavish breakfast is served every morning, while picnic baskets can be arranged on request for those who wish to go sightseeing in the beautiful surroundings. A "teller essen" or dinner of the day can be provided at a reasonable cost for those who prefer to eat in from Monday to Thursday. 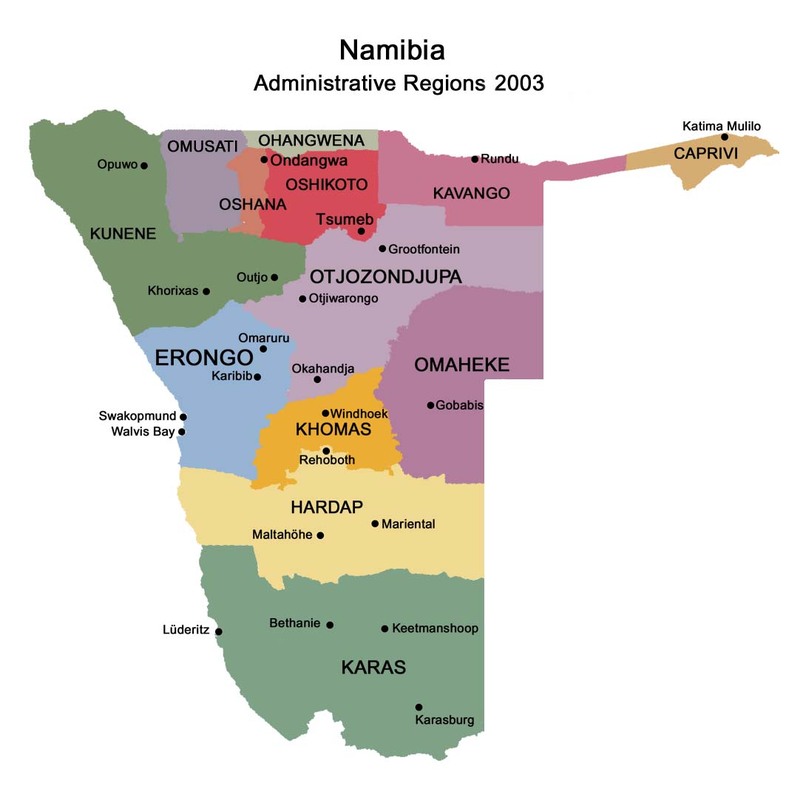 The Hotel is a member of Hospitality Association of Namibia. 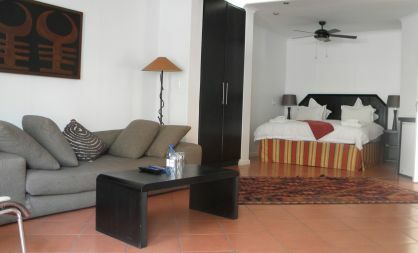 1 child under 6 years old stays free of charge if sharing with parents in suites only. In response to increased requests for dinner to be served in-house at the Langholm, we have great delight in announcing that we have re-contracted the services of Deupoldt, the gourmet chef who cooked up such outstanding food during 2009 and 2010. With effect from Monday 16 January 2012 we will be offering a dinner menu consisting of an a la carte selection of Starters, Mains and Desserts to our guests. Here is the opportunity to enjoy a cold beverage (or few........not restricted to two) in our festive NightCap bar before tucking into some good home-style gourmet food with no need to brave the cold air during a walk or need to drive anywhere in the evening. Great Food, at your beck and call, without any hassle! If you have any special dietary requirements (or even an unusual whim!) 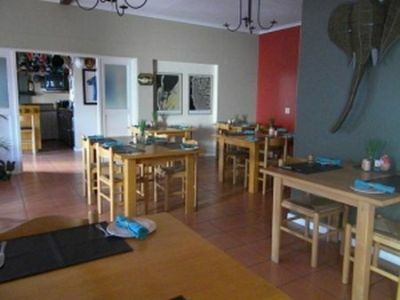 please contact us and we’ll do our level best to make your meal a special experience that you will want to repeat. Hope to see you soon and Bon Appetit!